In blood samples of seven captive equid species from four German zoos EHV-1 specific antibodies were detected in 76% and EHV-4 specific antibodies in 73% of the 55 animals, whereas 93% were tested positive for EHV-2 and EHV-5, respectively. In only one blood sample from a Przewalski’s wild horse EHV-4 DNA was amplified by PCR. From seven Przewalski’s wild horses EHV-2, and from another one EHV-5 was isolated by cocultivation. 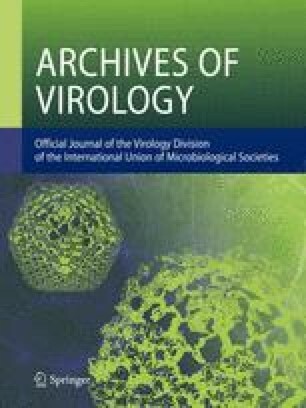 The identity of the virus isolates was verified by PCR and restriction enzyme digestion.